It’s getting close to Christmas! 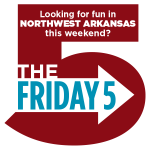 The weather may be a bit milder this weekend and we have some great options for family fun in Northwest Arkansas! You can also check out our 2017 Northwest Arkansas Holiday Events Guide for more fun events this weekend. One slime, two slime . . . red slime, blue slime! Maybe green slime, too. You need some time for yourself during the holidays so let your kids get icky sticky exploring the fascinating world of polymers. Sign them up for a day of experimenting with all sorts of slimy, gooey creations. Santa, face painting, kids table, shopping with over 45 vendors and gift wrapping. Teaming up with The D.E.B. Project, a non profit organization who helps kids who are less fortunate, there will also be a toy drive (bring a unwrapped toy please). It’s Christmas Eve and River Rose wants to stay up all night to hand-deliver a note to Santa, but she and her dog fall asleep only to find they’ve been swept off on another magical adventure. Activities to follow. Cookie Decorating with Bentonville Baking Co.
Come out and decorate Christmas cookies. Bentonville Baking Company will be on-site with freshly baked cookies and all the toppings a kid could desire. The cost is $10 per person and includes 3 cookies and a small hot chocolate with delicious house-made whip! Tickets can be purchased in-store now. Drop by James+James on Saturday, December 16th, anytime between 1pm-3pm to paint an ornament and grab a picture with Santa. Drinks and snacks will also be provided. A fun project and great keepsake. This event is free and all ornaments/supplies will be provided. This Downtown Springdale event offers Northwest Arkansas neighbors an opportunity to participate in a unique and culturally meaningful holiday tradition. 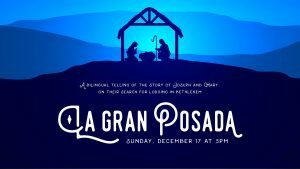 With over 200 in attendance last year, La Gran Posada is a bilingual telling of the traditional Las Posadas story of Joseph and Mary on their search for lodging in Bethlehem. This weekend you can hear Jamie Lou & The Hullabaloo (Friday night, Dec. 15 at 8 p.m.) and Terra Nova Kings (Saturday night, Dec. 16 at 8 p.m.). They also have Taco Tuesdays, trivia nights and book club events during the week! BAX has a new event every Thursday called Sip & Stretch Cider and Yoga Night starting at 7:30pm. 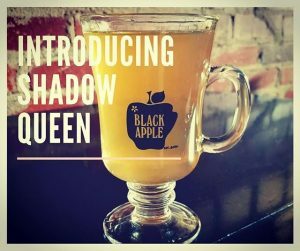 Last weekend they released their latest cider, Shadow Queen, an oak-aged Imperial peach cider suffused with a hint of vanilla for the holidays.